Can clomid be bought over the counter Comic Jeeveshu Ahluwalia on a fat guyai??i? ?s life and his over- optimistic mother. HE claims to be allergic to Mondays. So itai??i? 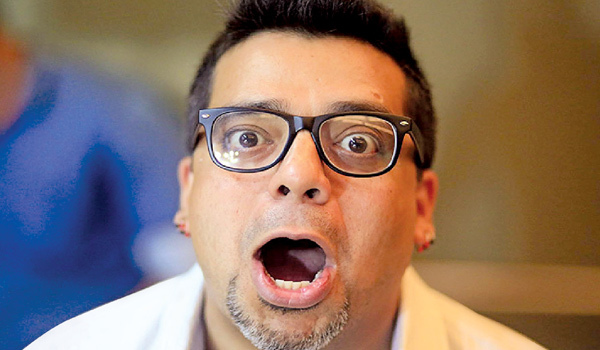 ?s no surprise that Jeeveshu Ahluwalia turned to stand-up. Heai??i? ?s a familiar face on Comedy Central and even had a role in the Ranbir Kapoor- Deepika Padukone road movie, Tamasha, directed by Imtiaz Ali. With just three years in this line, this performer has already done over 1,500 shows so far, and his journey from corporate board rooms to the biggest clubs, college auditoriums and comedy festivals has taken him across the country and beyond ai??i?? to locales like Singapore, Dubai, Doha, Thailand, Philippines and Malaysia. Thanks to his on-stage performances, the ai???Laughterpreneurai??i?? as he claims to be on Facebook, is just a few 100 likes away from reaching the 50K mark on his page. When asked about his take on social media these days, he jokes, ai?? ?I like people clicking selfies. It only goes on to show that even though they have almost 5,000 people in their friend list, they did not have even one single person to hold the camera for them. It just proves to me how lonely people are.ai??? At Aqua, The Park, Somajiguda on December 15 from 8 pm onwards. Catch him live along with Shyam Tenali and Rohit Swain. Tickets at Rs 499 per person. Details: in.bookmyshow.com.